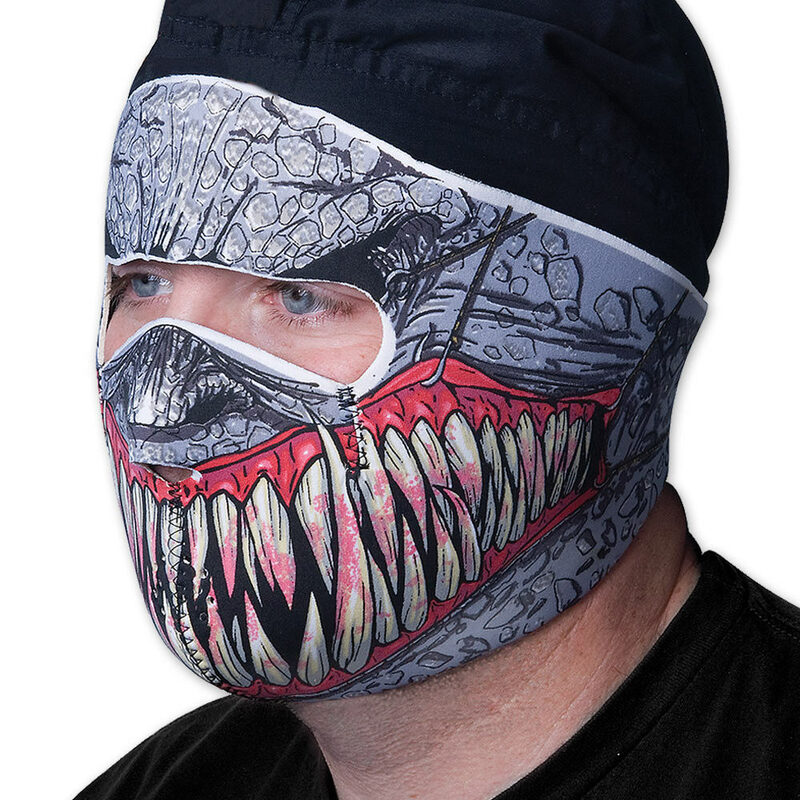 Outrun the cold with our neoprene face masks. Light weight, neoprene constructed with Velcro closure. One size fits most. One of the most uncomfortable masks ever. I bought this mask 3 years ago because I thought it looked bada$$ (which it did). When I got it to my surprise it was incredibly uncomfortable, I had to cut off the top section of the mast above the eyes just to be able to wear it. I bought it to be used as a ski mask, which it was used for. But eventually I grew out of it very fast. Was a good buy, fit nice and eye holes sit well on my face. Shipping was average, but there were many snow storms so it made good time. Keeps face really warm. The neagatives----- The print was kinda faded like seams like it could have been darker and more vivid, also the velcro is kinda chincy and cheap I don't expect it to last that long. All in All a Good buy! All around great mask, one fault in the mask the eye section was to small so I trimmed it, but still awesome. Cant wait to try it out on the mountain tomorrow. Was a pretty misleading purchase. The depiction here is that it covers your head in a good and reasonable fashion which is not accurate. It covers the front of your face, the Velcro section isn't wide enough to fit perfectly, and it can be a little hard to see. i havent received it yet...im supposed to get in today! cant wait looks good!